Flood warnings continue for the Skokomish River as well as the Chehalis River. 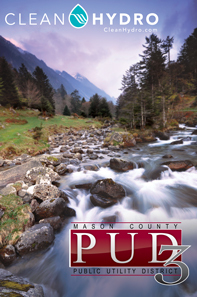 Heavy rain over the past several days has saturated soils and also increased the risk of landslides. More rain, locally heavy, is expected through this afternoon with up to four inches possible in the Olympic Mountains in the next 24 hours. 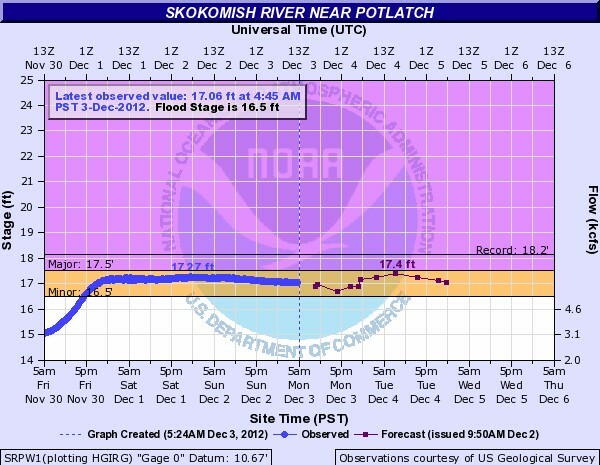 This rainfall will keep the Skokomish above the 16.5-foot flood stage and keep the reach of the Chehalis near Grand Mound as well as other point above flood stage. Forecasters say flooding will continue in the Skokomish Valley with the River staying around the 17-foot level through at least Thursday. The above normal rainfall over the last three weeks has increased pressure on soil instability and the risk of landslides is now at a “moderate” level. Officials say isolated landslides can be expected perhaps the rest of the week. Rainfall induced landslides are possible during bursts of intense rain or when there is heave rain over a period of a day or two. Areas most susceptible to landslides are steep coastal bluff and steep hillsides. 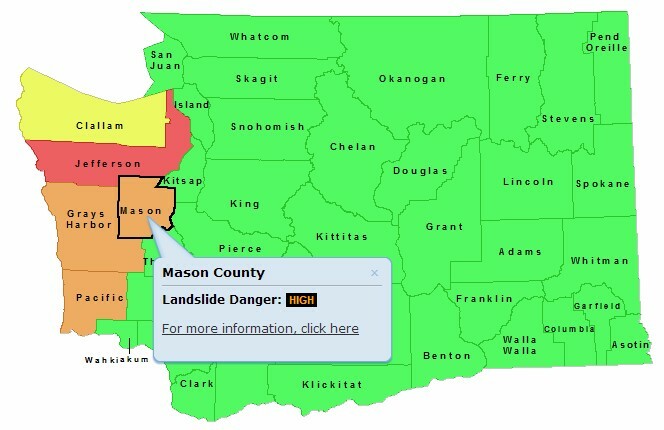 In Mason County the landslide danger is “high” along with Grays Harbor and Pacific counties while the landslide danger in Jefferson County is “extreme” and Clallam is “moderate”.